This web content was prepared by Zsuzsa Banhalmi-Zakar and Robert Hales, Griffith University. Banhalmi-Zakar, Z. and R. Hales, 2016: Guidance on how to build a business case for climate change adaptation: Lessons from coastal Australia. CoastAdapt, National Climate Change Adaptation Research Facility, Gold Coast. Effective business plans for climate adaptation are essential to ensure organisational support, access to required resources, and ultimately for achieving action. Successful business cases rely on properly structured and informed documents, and also on adopting a strategic approach to progress the business case through your organisation. To support users to prepare a business case for adaptation, we provide a template. The template can be downloaded here. Effective business plans for climate adaptation are essential to ensure organisational support, access to required resources, and ultimately to achieve action. Successful business cases rely on properly structured and informed documents, and also on taking a strategic approach to progressing the business case through the organisation. The success of a business case relies on: the tactical use of extreme weather events to position the business case strategy; the persuasive use of evidence of local socio-economic impacts of climate and climate change; and the framing of adaptation risks as part of existing business processes. Building a case requires preparation that often involves input from external specialists who can help develop innovative approaches to measure and communicate the benefits of adaptation. Below we provide guidance on developing a business case for adaptation. This includes outlining why a business case is required, what a business case is and why a business case is different for adaptation than for other activities. We also identify key elements of a business case and lessons learned from a recent study of business cases for adaptation in local government and business (Hales et al. 2016). Finally, we identify several factors that we suggest are key enablers to ensure that adaptation business cases are adopted. Why build a business case for climate change adaptation? Building a business case for adaptation is an effective way to respond to the risks and opportunities that climate change represents to organisations. However this is not widely recognised in Australia. Failure of climate change adaptation and mitigation has been identified as the top global risk in terms of impact, while it was also among the top five most likely risks (along with risks of extreme events and natural disasters), in the most recent Global Risks Report (World Economic Forum 2016). At the same time, cost-efficient adaptation to climate change is identified as one of 15 top business opportunities in the most recent Global Opportunity Report (Global Opportunity Network 2015). The benefits of taking adaptive action now are difficult to quantify, but a study funded by the Australian Business Roundtable for Disaster Resilience and Safer Communities estimated that the annual costs of natural disasters will grow by 3.5% per year on average, reaching $2.3 billion in 2050 (Deloitte Access Economics 2013). This growth in costs is attributed purely to increased investment and population growth in coastal areas, as the report did not take into account the potential impacts of climate change in exacerbating extreme weather events (Deloitte Access Economics 2013). Adequate preparation, including adaptation and pre-disaster preparedness, however, could reduce costs by 50% (Deloitte Access Economics 2013). Building the business case for adaptation to climate change is a relatively new phenomenon in Australia, as well as the rest of the world. This is partly because to date, most corporate action on climate change has focused on mitigation (such as implementing low-carbon, energy-efficient technologies to reduce greenhouse gas emissions) that brings cost-savings. Compared to mitigation, efforts to anticipate and adapt to climate impacts have lagged behind. This situation needs to change. Adaptation must become a core component of an effective strategy to address the risks of climate change. This document provides guidance and shares some ‘tried and tested’ strategies from ten organisations in Australia that have successfully prepared and implemented all, or most, of a business case for adaptation. What is a business case and how is a business case for adaptation different? A business case is a persuasive argument for change (in products, services, practices, strategies, etc.) within an organisation. It functions as a decision-support tool. A business case is often communicated to decision-makers in a written report and, if approved, is the precursor to financial commitment and implementation. A business case for climate change adaptation specifically targets improving the capacity of an organisation to respond to current and predicted impacts of climate change on the organisation and its stakeholders. Increasing recognition by businesses that the Australian economy is being affected by climate change leads to the organisational imperative to mount a business case for adaptation. Although some businesses are implementing their own business case for climate change adaptation, to date, there is no model of how to mount a case and how it may be different to approaches to building other, ‘traditional’ business cases. Climate change is primarily perceived as a risk that translates into economic costs; financial impact is the motivation behind framing the business case for climate change adaptation as a risk management strategy in most organisations. The business case for climate change adaptation must be integrated into overall business decision frameworks to be successful. Successful business cases develop shared values for adaptation with stakeholders and formulate the benefits of adaptation to the wider community. Successful business cases develop innovative ways, and collaborative approaches, to formulate and obtain buy-in. A strong business case for climate change adaptation is usually associated with the presence of sustainability systems and practices in an organisation. Leadership from within the organisation and external to the organisation is important to progress the business case through the organisation’s decision-making process. Leaders and managers responsible for climate change adaptation need to have a long-term commitment in order to seize opportunities and initiate a proposal. Long-term commitment is also important in the implementation of the business case because of the inherent long-term nature of climate change. Incorporating adaptation early on in the planning and design phase of projects means adaptation becomes ‘business as usual’. One way to do this is to integrate climate change adaptation with sustainability or climate change mitigation efforts (e.g. energy-efficiency or using renewable energy to achieve cost-savings). Retrospective adaptation is more difficult to achieve and costly. Breaking down adaptation into stages applies to both developing the business case (or cases) and implementation of adaptation measures. It is critical to illustrate, and justify, the adaptation business case by presenting information about climate change impacts. It is important to frame organisation-specific risks and opportunities to support the business case. It is just as important to leave out all irrelevant information such as climate change effects that are not directly associated with the impact being addressed. Assistance from specialist consultants (e.g. experts in GIS mapping, communication, engineering) and research organisations to develop specific tools to measure and communicate adaptation benefits and actions is invaluable in progressing the business cases. Framing adaptation as a positive message and identifying ‘co-benefits’ are successful strategies for garnering organisational buy-in and stakeholder support; for example, co-benefits could include community health and well-being. This may not be possible in all cases, but can be a powerful tool that requires some creative thinking. Using extreme weather events as critical moments to propose the adaptation business case to decision-makers can help focus attention on the need to consider adaptation. Using highly effective visual aids to demonstrate the need for adaptation measures is an effective strategy. These may be maps, graphs or infographics that are embedded in the local context and this works particularly well when they show the personal relevance of adaptation for decision-makers. In many instances, businesses, governments and the community already feel the negative effects of weather events such as flooding, cyclones, heat waves and other extreme weather events. Knowledge that these events are set to increase (or are already increasing) creates a motivation to adapt. Extreme weather events have been key drivers for action and in positioning the business case as a way to address the risks posed by climate change. While some of the cases studied also identified the ensuing risk posed by rising sea levels, only a few have addressed it. The reason for this is likely to be because it represents a long-term risk that is outside most organisations’ planning timeframes. This means that many successful adaptation business cases were reactive, rather than proactive. This is surprising given the evidence (see for example Deloitte Economics 2013; Global Opportunity Network 2015) that adaptation, resilience or pre-disaster preparedness is far more cost-effective than funding recovery efforts. This cost effectiveness needs to be calculated and communicated more effectively to Australian business and local governments. There is also the tendency to view climate change as a source of risk and to argue the business case for adaptation along the principles of risk management. While this appears to be a sound and effective approach now, it has limitations and there remains a need to determine and demonstrate how climate change can be mainstreamed as an opportunity for organisations. 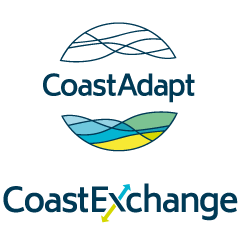 Guidance on adaptation planning is provided in CoastAdapt. By following the steps in C-CADS (Coastal Climate Adaptation Decision Support) you will generate the information required for a business plan, and will better understand when to use a business plan. Deloitte Access Economics, 2013: Building our Nation's Resilience to Natural Disasters – White Paper. Accessed 8 January 2018. [Available online at http://australianbusinessroundtable.com.au/our-research/white-paper]. Global Opportunity Network, 2015: Global Opportunity Report, 1st edition. Accessed 20 June 2016. [Available online at http://globalopportunitynetwork.org/the-2015-global-opportunity-report.pdf]. Hales, R., Z. Banhalmi-Zakar, K. Kelly, T. Sarker, A. Lo, A. Chai, E. Whittlesea, and C. Fleming, 2016: Building the business case for climate change adaptation - Lessons from Coastal Australia. National Climate Change Adaptation Research Facility, Gold Coast. World Economic Forum, 2016: Global Risks Report, 11th edition. Accessed 20 June 2016. [Available online at http://www3.weforum.org/docs/GRR/WEF_GRR16.pdf].